Composite fillings are performed with a dental composite, which is a material used with a tooth-bonding technique which includes a specialized light that hardens each layer of the filling that is applied. This composite is comprised of tooth-colored plastic and glass which is used for various dental indications. It is able to adhere directly to the surface of a tooth even if it is a flat and smooth one. It mimics the appearance and color of tooth enamel extremely well. In the application of composite veneers. White fillings for the front teeth. 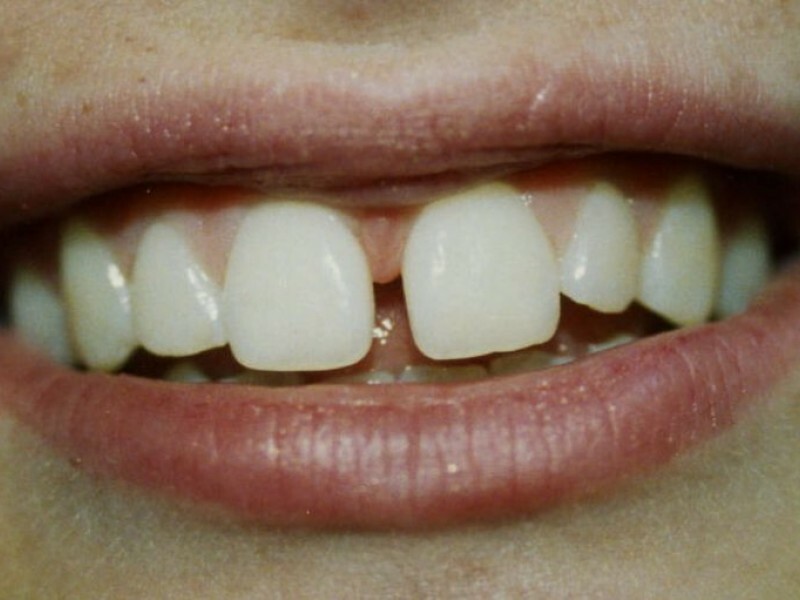 The medical term used to refer to space between two front teeth is diastema. Diastema doesn’t pose any medical issues to affected patients but some people do find it cosmetically unappealing. For those who are affected as such by the condition can make use of bonding with a composite filling to provide a solution. How the tooth gap is reduced is by placing the dental composite on the sides of the teeth that lie on either side of the gap. This helps to make both teeth “wider” which helps to reduce the space between them. Placing porcelain veneers on teeth that are located on either side of a diastema is the most common alternative to managing this issue with dental composite. A smaller tooth gap – the smaller the diastema, the more likely it is to close a tooth gap using composite filling. Since the goal of the treatment is to increase the size of the teeth, it’s unlikely that tooth reduction will be needed. This is also a more minimally-invasive procedure than applying a veneer. Returning the tooth to the original condition – if for some reason closing a diastema becomes problematic or unpleasant for the patient, the composite can be buffed off the tooth without any damage to it. This is not possible when applying a veneer since up to 30 percent of the tooth will have to be trimmed to prepare for the procedure. The dental composite can be applied to the entire front surface of the teeth if needed which would make using a porcelain veneer redundant. Ideally, a composite filling would be used to reduce a small diastema and larger tooth gaps would benefit from the application of a porcelain veneer. The choice of treatment will depend on the severity of the condition and the unique circumstances and needs of the affected individual. It is always suggested then that patients discuss their tooth-related problems with their dental surgeons so that they are adequately examined in order for the correct treatment to be initiated.